It’s only fitting that next week’s National Alliance for Public Charter Schools conference, celebrating 25 years of charters, is being held in Nashville. It’s a city whose musical roots spring from improvisation, innovation, and harmonization, all founding tenets of the charter schools movement as well, which for 25 years has been reinventing education for America’s highest-need students. It’s also a city where 26 charter schools serving over 8,000 students are thriving, where many are demonstrating exceptional academic performance for economically disadvantaged students who are truly beating the odds. Before the 4,000 conference attendees, school leaders, allies, and advocates, descend on the Music City, The 74 spoke to Nina Rees, president & CEO of the National Alliance, to get a preview of what to expect. The interview was lightly edited for clarity and length. The 74: What are the themes people will hear about at the conference? Rees: We’re so excited about celebrating the 25th anniversary of the charter school movement with our stakeholders, friends, and allies. There are a whole host of things left for us to tackle and the conference will allow us to touch on those themes. One key thing that needs to happen is equal funding: Making sure that our students are getting no less than students in a traditional school. So that’s at the center of a lot of the discussion and will continue to be something we talk about every year. Another theme for the charter movement is the question of whether we are innovating enough — the urgency of using the charter space to empower teachers to offer a customized education to the students they serve. Third, advocacy, federal advocacy. This fall with the presidential election we probably will see some shifts in the power structure in the Senate and it’s likely we’ll see some changes that are going to impact where we go next. And at the center of all this is really continuing the focus that charters are really one of our best reforms. People don’t need to go to a conference to get access to content, so a lot of this is about networking. We have a lot of networking opportunities throughout the day so we hope teachers and leaders will take advantage of that, to find a educator in a different school and learn from their best practices and also realize that they are part of a larger community. Teaching is a lonely job and to the extent that you can find your peers and find an opportunity to run your ideas by other people it gives you more energy to go back in your classroom after the conference. What speakers are you excited about? We have a ton of great speakers. The Broad Prize is being announced on Monday. It’s a big honor that goes to the CMO (charter management organization) that has best raised student achievement, closed the achievement gap, and raised the graduation rate. It’s part of the tradition of recognizing our best and using them as a model for others to emulate their best practices. Andre Agassi, Secretary John King, Howard Fuller, will all be on the main stage. We’re also inducting honorees into our Hall of Fame. It’ll be great to have Kim Smith (CEO of NewSchools Venture Fund) and Bill Kurtz (CEO of Denver School of Science and Technology) up there talking about their journey in this space and where they hope it’ll go next. 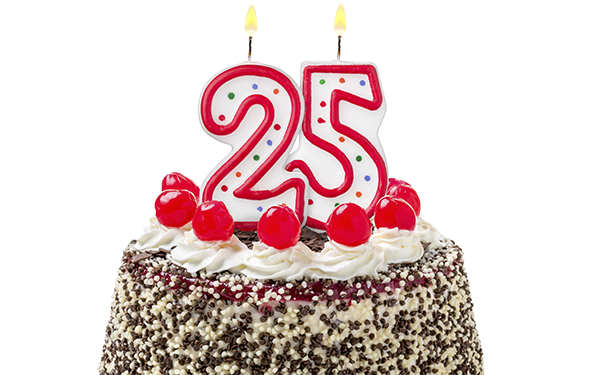 What is your wish for charter schools on their 25th birthday? My wish is to open the door for more charters by expanding the amount of funding that’s available to launch new schools. At the end of the day, if you don’t have the access to startup dollars you can only do so much in that first year, so more funding to launch new charter schools and a commitment by the next president that they’ll stand with high-quality charter schools. 9:30-10:30 AM: Opening session hosted by broadcast journalist and syndicated columnist Roland Martin and featuring Tennessee Gov. Bill Haslam and education scholar, civil rights activist and charter pioneer, Howard Fuller. Announcement of the $250,000 Broad Prize and Nina Rees’ state-of-the movement report. 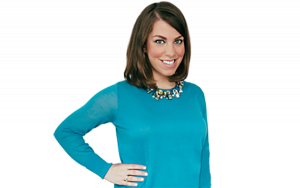 9:30-10:45 AM: What’s Next: Looking forward to the 30th, 35th and 50th Anniversaries of Charter Schools with Fuller, Rees, Bruno Manno, author and senior advisor to the Walton Family Foundation's K-12 Education Reform Initiative; Dacia Toll, co-CEO and president of Achievement First, a network of 30 K-12 public charter schools in New York, Rhode Island, and Connecticut and moderated by The 74. 2-3:15 PM: A Fireside Chat with U.S. Secretary of Education John King, moderated by Andy Rotherham, co-founder and partner at Bellwether Education Partners. Disclosure: The Walton Family Foundation is a partial funder of the National Alliance for Public School Charters conference and The 74.